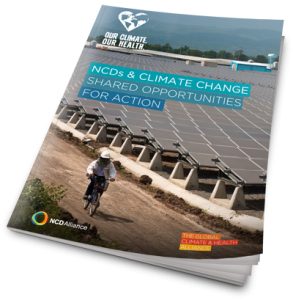 On the 31st March 2016 the NCD Alliance launched a joint policy brief with the Global Climate and Health Alliance on climate change and NCDs. 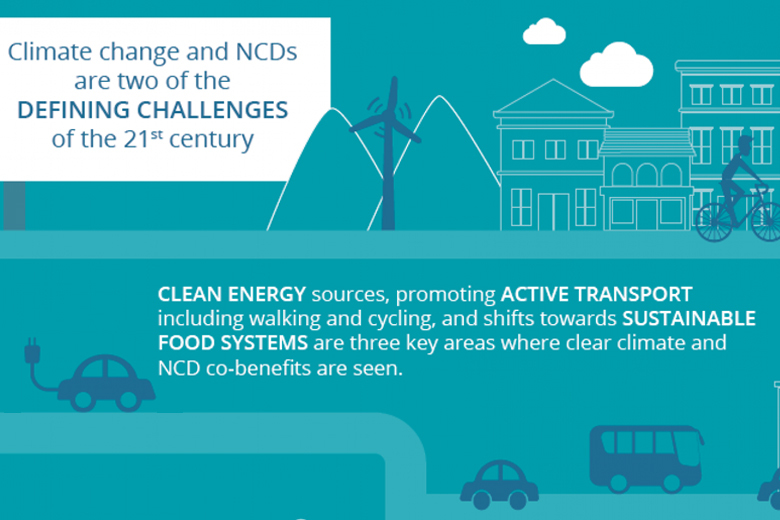 NCDs and climate change are two of the greatest threats to sustainable development this century, but the actions required to address them present an unmissable opportunity for joint action. A related article from the Lancet entitled ‘The perfect storm: climate change and its health consequences’ can be found here. Chronic non-communicable diseases (NCDs) including heart disease, stroke, cancer, diabetes and chronic lung disease account for some 7 out of every 10 deaths in Small Island Developing States (SIDS) including those of the Caribbean.